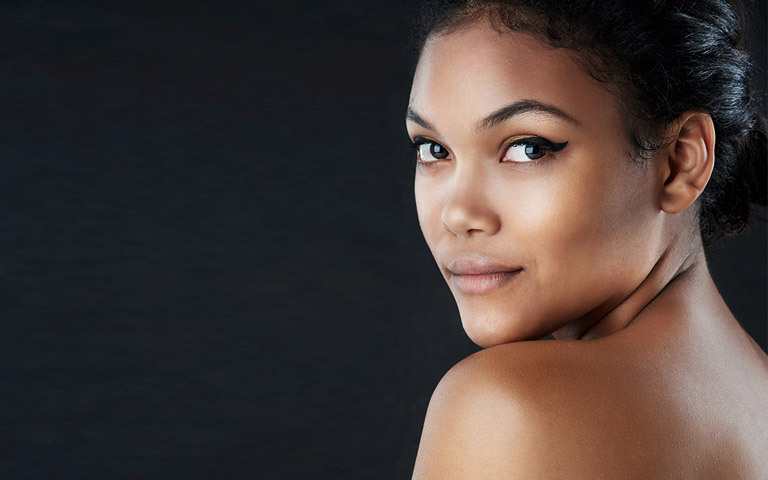 Although rhinoplasty is one of the most commonly performed cosmetic surgery procedures in plastic surgery, there are some patients that can benefit from nonsurgical nose job as alternative. Soft tissue fillers are products that are used to improve the contour and volume of areas on the face including the nose. They are injected in the clinic and do not require an operation. Soft tissue fillers can be used in certain situations to correct deformities of the nose. One of the more common uses is to augment the dorsum (enlarge the bridge). This is commonly requested by Asian and Black patients that desire a fuller or higher dorsum. Another common reason to use soft tissue fillers is to improve irregularities after rhinoplasty. Small depressions can be filled as an alternative to undergoing revision rhinoplasty. 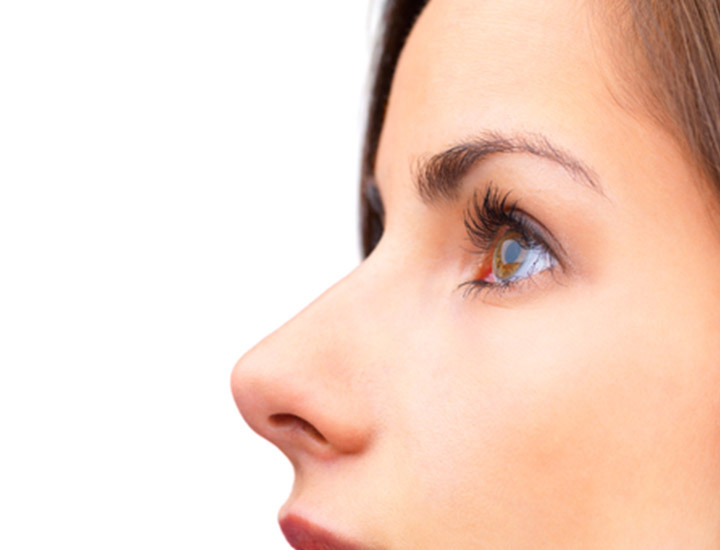 There are some deformities of the nose that cannot be corrected or improved by soft tissue fillers. Careful analysis and evaluation of the deformity requiring correction is key. If the problem is that an area is too small, then fillers can be used to add volume and improve the overall appearance. However, if an area is too large or prominent, then addition of fillers around the area to attempt to mask the prominent area will create a nose that is disproportionately large. It this case, rhinoplasty surgery for reduction of the area is more appropriate. There are several important considerations when using soft tissue fillers in the nose to improve safety and prevent both short and long term complications. Temporary fillers should be used and not permanent fillers. All synthetic, permanent fillers are fraught with disastrous complications including chronic granulomas and infections that are very difficult to correct and cause permanent deformities. Gel fillers should be used, not particulate fillers. Additionally, the amount of filler injected at one time must not be excessive as this can cause problems with not only the appearance but also the blood flow to the skin resulting in discoloration or scarring. Hyaluronic acid fillers are ideal for injection into the nose as they are temporary (usually last for over 1 year) and gel. Hyaluronic acid is a naturally occurring sugar found in the body and is well suited for injection in the skin. Additionally, if too much filler is injected or there are problems with blood flow to the nose, an enzyme (hyaluronidase) can be injected to dissolve and remove the product. Both Juvederm and Restylane are commonly used hyaluronic acid fillers. The non-surgical nose job is performed at the Plastic Surgery Clinic. Prior to the procedure, we spend a lot of time with our patients to listen to their concerns and identify their goals for nose reshaping. We can then help them to decide on whether a non-surgical nose job or rhinoplasty surgery would be best to help them achieve their goal. Dr. Ahmad lectured on the role of fillers in rhinoplasty at the 31st Annual Dallas Rhinoplasty Symposium and published a scientific article in the February 2014 issue of Plastic and Reconstructive Surgery describing the use of soft tissue fillers for rhinoplasty. Explore our before and after photo collections to see actual results we have achieved.